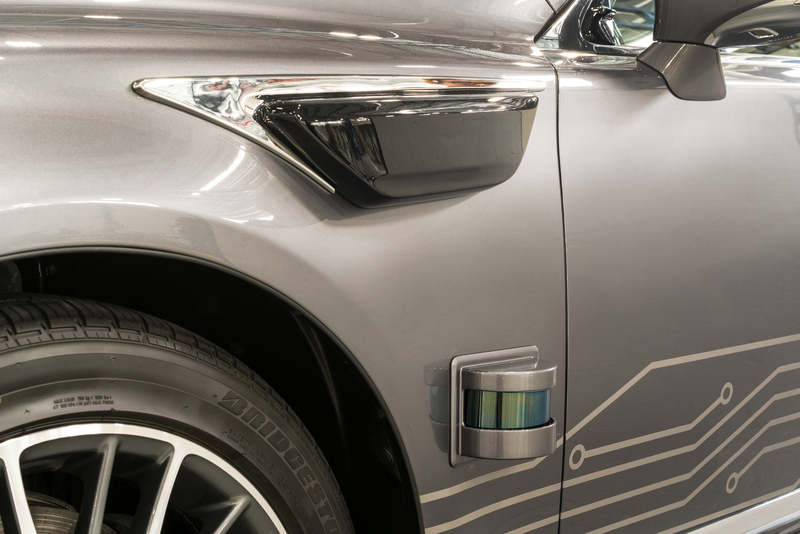 TORONTO, ONTARIO, January 4, 2018 – Toyota Research Institute (TRI) will show its next-generation automated driving research vehicle, Platform 3.0, at the Consumer Electronics Show (CES®) next week in Las Vegas. The new platform, which is built on a Lexus LS 600hL, combines greater technological capabilities with new harmonized styling that integrates the automated vehicle technology into the LS model’s design. It will be on display in Toyota’s CES® exhibit in the North Hall of the Las Vegas Convention Center beginning Tues., Jan. 9. Platform 3.0 represents maturing of TRI’s automated vehicle research. Experimentation has transitioned to narrowing in on a technology package with a more defined sensor configuration and level of performance that helps catapult proficiency in understanding the world around the car. A share of the new test vehicles will be assembled with the dual cockpit control layout that TRI debuted last summer. This arrangement is for testing TRI’s Guardian approach to automated driving, experimenting with effective methods to transfer vehicle control between the human test driver and the automated system while maintaining a safety driver as a backup. Single cockpit vehicles, like the one on display at CES®, are used to test Chauffeur, which is TRI’s approach to full vehicle automation.